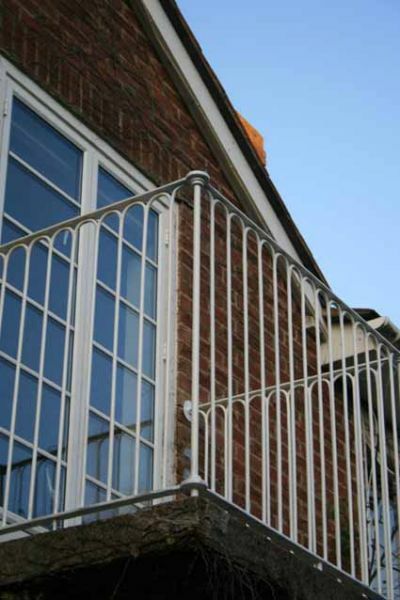 Balcony railings in Godalming, Surrey. This Balcony was on a small platform that shaked at the slightest vibration. It made me quite nervous, drilling holes while shaking up and down. I needed a drink after fitting this one. It was designed in neo classical style to balance with the Edward Maufe replicated architecture. Hence the archs and pillars. This Juliet Balcony I have been working on is bespoke designed & made for a couple in Watersfield. They requested Arts & crafts and Art Deco elements within the balcony. The tear drop shapes have been split out of 12mm square and bent into shape. There is a plate welded to the back, which will hold coloured glass, this will go with the copper that fits within the empty squares. The rest of the balcony is traditionally joined using mortise and tenon joints and punched square holes, which swell out. Decorative cover. 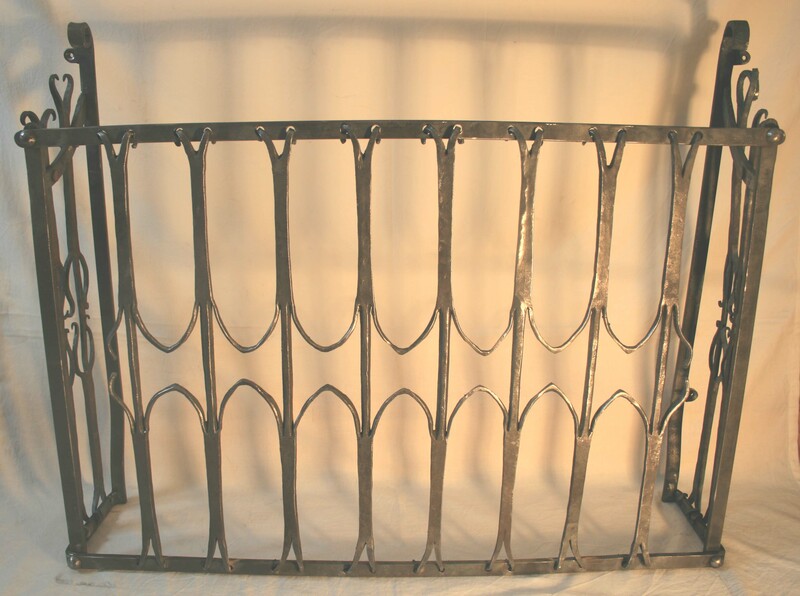 Could also be a design for a Juiliet balcony, fire guard or railings. 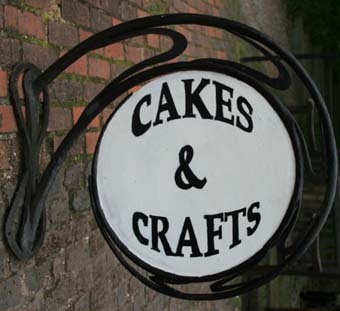 This is made of 20mm x 8mm mild steel bar and is forged, split and bent to give it a decorative character. 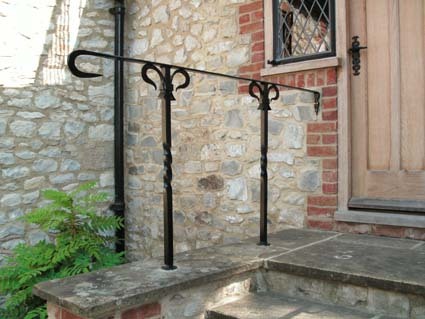 Hand Rails made for a client at Amberley, West Sussex. 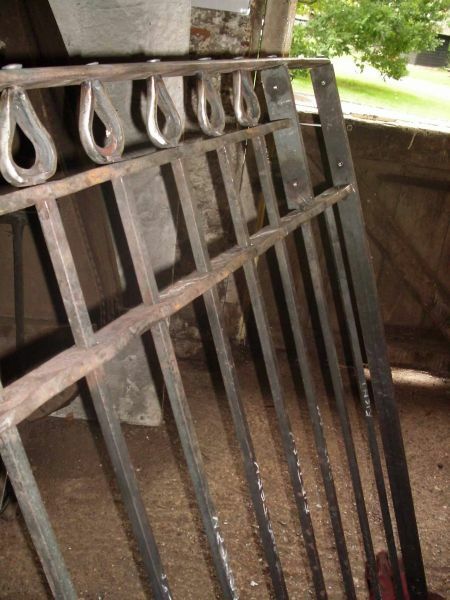 Curved areas are all forged and consist of a technique called a transition twist. 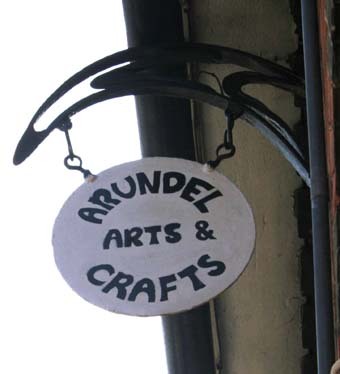 These signs were made for a shop in Arundel, West Sussex. They both carry the same theme of cheverons curving around the middle.